Lucas Tine is 6’1″ tall with dark brown hair and midnight blue eyes. Like all vampires in my world, he has metallic streaks in his eyes, which flash and swirl dependent on his mood. He has a strong square jawline with high cheek bones and he’s incredibly handsome with a broad, muscular chest. Created in 1866, at the age of 24. He was born in Chicago and struck down by a cholera epidemic which killed his entire family. He was saved from death when the vampire Florien found him dying in the street and created him to vampire. Lucas is the leader of the Tine Kiss and well respected by his friends. He will do anything for his group of vampires and treats them like family. Although many years younger than some of his Kiss members, he was their natural choice for leader. He has exceptional strength and supreme fighting skills. Lucas has the ability to recall every detail of every conversation he’s ever conducted, which has been extremely handy during the times when he’s worked as a Lawyer in the past. A striking man with ebony hair, 6’2″ tall. His dark brown eyes contain streaks of gold. Born in 1163, to Oliver and Mary Becket, he had one brother Galen. As eldest son, Ben was forced into joining the Crusades by his father, despite his passive nature being more suited to the clerical life his brother undertook. Injured and nearly killed in the Siege of Acre, the vampire Bathbesa found him as he lay dying on the battlefield. Intrigued by the young Christian Knight, Bathbesa took Ben from the battlefield and created him to save his life. She stayed with him to teach him the ways of vampires and they were lovers for many years until they made a mutual decision to seperate and Ben returned to England. Ben struggled for many years, living from hand to mouth. He joined a Kiss, serving as the Leader’s second-in-command, but then drifted alone, serving in the military from the Napoleonic Wars through to the Boer Wars. He worked his way up the ranks and was introduced to the Countess of Blanchester – a vampire who knew immediately what he was. She was besotted by the handsome Captain and offered to keep Ben in comfort, whilst paying for the philanthropic work he desired to begin – in return for him remaining with her as her lover. He met Lucas Tine and Ripley Wadsworth, Rowena and her husband Finchley at the Countess’s estate in York in 1898. Ben immediately fell in love with Rowena and Lucas urged him to break away from the Countess, however she refused his request for release. When Lucas and Ripley returned to the Estate a second time, Lucas won Ben’s release by agreeing to sleep with the Countess for a period of one month. She was extremely attracted to him and believed she could convince him to remain with her forever. Lucas had no romantic interest in her however, and left with Ripley and Ben after the agreement was concluded. Discovering that Rowena was imprisoned by her husband, Sir Finchley, Ben joined with Lucas and Ripley to rescue her and has loved her deeply ever since. Petite with pale skin, long dark silky hair and hazel eyes with silver streaks. Always stylishly dressed, Rowena exudes elegance. Born in 1852, she was created in 1873, at the age of 21. The daughter of Mungo and Elizabeth Steward, her parents owned an Estate in the Scottish highlands. Rowena fell deeply in love with Duncan Taylor, a forbidden love as he was a gardener at her father’s Estate and considered unsuitable for Rowena. While her parents sympathised with Rowena’s feelings, her father couldn’t give permission for her to marry Duncan without bringing embarrassment to the family name. Elizabeth petitioned heavily on Rowena’s behalf, but Mungo refused to be swayed from his decision and accepted an offer of marriage from the Honorable Sir Robert Finchley for Rowena’s hand. Duncan suspected something unusual about Sir Finchley and he made arrangments for himself and Rowena to run away to elope. However, unbeknownst to the young couple, Mungo’s footman accepted a bribe from Finchley to tell him where the couple were headed and Finchley caught up with them. Finchley murdered Duncan Taylor in cold blood after he retrieved Rowena and ensured his marriage to her was legal. Rowena discovered Finchley was vampire on their wedding night when he forced himself upon his unwilling bride and created her. Finchley viewed Rowena as a trophy, her father’s Estate a coveted added benefit. Rowena endured ten years of marriage to Finchley before he was executed by Lucas when he, Ben and Ripley set out to rescue her from her brutal captivity. Rowena can detect people’s emotional health through touch and is telepathic. At 6’5″ tall, Striker is a mountain of muscle with long blonde hair which falls down past his shoulders. Born in 1906, he was 21 when he was created, and his eyes bely his experiences of the world. He loathes his first name (Hiram) and is known universally as Striker by everyone. Striker comes across as intimidating but he is fiercely loyal and protective of those he considers friends. Extremely strong, even by vampire standards, he also has a moderate ability to calm emotions through touch, which can be magnified by joining his power with Acenith’s, who has a similar ability. His family were originally from Norway and emigrated to the United States when Striker was four. Hiram’s family settled in Arkansas and he grew up dirt poor. Hiram had twelve sisters and brothers, including his identical twin, Holden. 5’9″ tall, slender with transluscent skin, her lips are full and the color of crushed strawberries. Marianne has eyes the color of an ocean on a sunny day, filled with silver streaks. She has shoulder length black hair and whilst she initially started with bright, flamingo-pink highlights, more recently she has changed to bright blue highlights. She loves wearing outrageous clothing and often gels her hair into spikes. Marianne’s mother had a ‘sixth sense’ which her daughter inherited. Marianne can make preditions about the future and sometimes see events which will effect her friends, but being a young vampire, her ability is constantly misfiring – a common situation as an ability begins to present itself as a vampire matures. Born to Alexander and Ann Cooper, she had two siblings, Annabeth and Phillip. A free spirit, Marianne was travelling in Europe when war broke out in 1939 and she was attacked and created in Berlin. She met Striker in the late 1970’s and when we first meet them, they are engaged to be married. Marianne’s ability has only ever worked on fellow vampires, so everyone is surprised when she is able to predict events which involve Charlotte, a normal human girl. William is the shortest of the Tine Kiss’s men, being 6′ exactly. He has closely cropped dark brown hair and grey eyes which glitter with silver. His voice is deep and melodious, his demeanour serious. Aged twenty eight, William was married to Jolene, his high-school sweetheart and they had a small son, Joey. William was serving in the United States Army and overseas in Vietnam when he was attacked by an unknown vampire deep in the Vietnam jungle. When the creation was complete, William awoke alone, disorentated and terrified and suffering the extreme thirst for blood whicdh all vampires must deal with when first awakening from creation. William killed indiscriminately at first, slaughtering both members of the Viet Cong and the American military, even members of his own platoon. By the time he began to gain some control over himself, finding a sense of the man he’d once been, he felt he was beyond redemption. He remained hidden in the jungle for months, horrifed by what he’d become. Eventually he stumbled into a military camp and confessed what he’d done, by wasn’t believed. The military believed William had suffered a psychotic episode and he was shipped Stateside, classified as suffering PTSD. He stole blood to survive in the hospital, determined to never drink from another human again. Released in early 1974, William struggled to keep his situation secret from his wife and he was caught out drinking from a bag of blood with his fangs extended. Horrified, Jolene took Joey and left, before William could explain and tragically she and Joey were killed in a tragic car accident as they fled. For years, William wandered the world aimlessly, unable to find a reason for continuing, until he met Gwynn in Budapest in 1999. Through her love and friendship, he found a reason to live and they’ve been married since 2000. William has attempted to keep an eye on his family, despite being unable to have a relationship with them, and discovered that he had a Great-Niece who had been orphaned and taken into foster care. With the Tine Kiss’s support, he and Gwynn have a relationship with the child and share custody of her with a woman living in Puckhaber Falls. 5’2″ tall, Gwynn has a heart-shapped face with pale blue eyes and copper red hair. Born in 1901, Gwynn’s parents, Thomas and Sarah divorced when Gwynn was nine. The courts awarded custody of Gwynn to her father, as was the norm at the time. Thomas Peabody had been an abusive husband, after his wife fled and he obtained a divorce, he began to sexually abuse young Gwynn. Sarah Peabody remarried two years later and she and her new husband, Thomas Gregory attempted to gain custody of Gwynn. Gwynn’s father told Sarah that Gwynn had died and provided false evidence to the courts to validate his claim. The sexual abuse continued throughout Gwynn’s teenage years, culminating in a pregnancy in 1918. Gwynn suffered a miscarriage in her 5th month, when her father physically attacked her. While Gwynn was deeply ashamed of the pregnancy, she now struggles with conflicting emotions regarding the only child she would have ever had. Gwynn ran away from her father shortly after her 19th Birthday and travelled across the country to put as much space as possible between her and Thomas Peabody. Gwynn caught the eye of Eugene Cotter, a vampire living in San Francisco, where Gwynn had found work. Eugene won Gwynn’s trust by offering her friendship with no strings attached. When Gwynn discovered what Eugene really was, she convinced him to create her so she would never have to fear her father again. Gwynn is deeply in love with her husband, William Blackheath and protective of her friends in the Tine Kiss. Ripley is a little over six feet tall, lean and wiry but well-muscled. His face is slender with high cheekbones and a square jawline. His almond shaped eyes are hazel with flecks of silver. Golden-brown shoulder length hair is invariably held back from his face by a leather strap, drawing it into a ponytail. Ripley is the ‘oldest’ in the Tine Kiss physically, having been created at the age of 31. 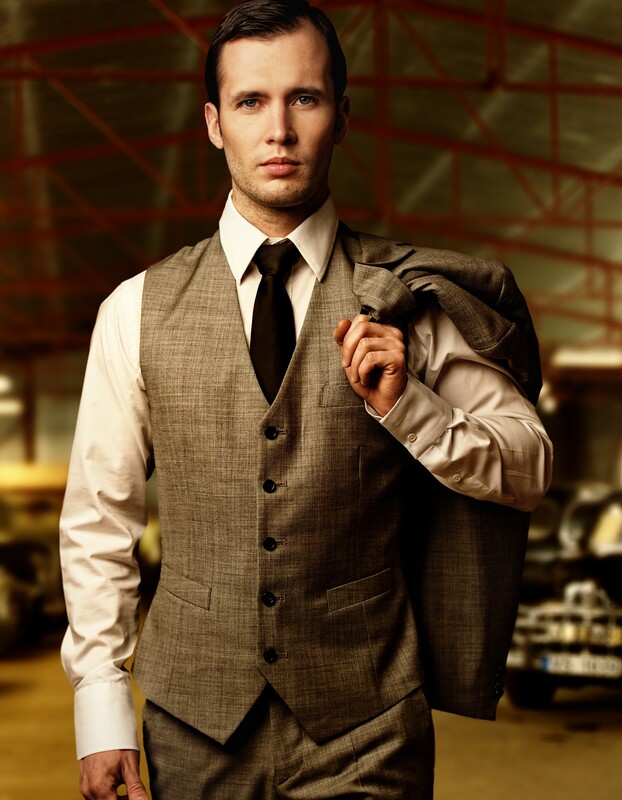 He is formal and extremely polite and dresses generally in suits with waistcoats. Born on his family’s estate in Kent in 1574, Ripley was the first-born son of Earl Ripley Wadworth and his wife, Lady Caroline. Along with his two brothers and one sister, the family were devout Catholics in a time when King James the First had declared all Catholics must attend Church of England services. When Earl Wadworth and his sons actively protested this situation, the family were charged with treason and sentenced to hand at the Tower of London, losing their homes, titles and lands in 1605. Ripley’s long-time friend, Lord Wallace Stuyvesant (himself a vampire) managed to bribe his way into the Tower to see Ripley and offered him the opportunity to escape, explaining he would be created to vampire. Ripley agreed, hoping to be able to rescue his mother and siblings after the creation was complete. Believing Ripley was dead, the guards allowed Stuyvesant to oversee Ripley’s burial. By the time he rose, Ripley was devastated to discover his entire family had been executed. At the urging of Lord Stuyvesant, Ripley abandoned England and for many years wandered through the countries of Europe. The year 1656 found him living in France, wher ehe came across Acenith De Bourgain, who reminded him of his long-lost sister. Horrified by what Acenith was subjected to after being accused of witchcraft, Ripley rescued her and created her, unable to bear the thought of her dying from her injuries after being tortured. Ripley has the ability to read minds, but actively blocks it as much as possible to allow his friends their privacy. Acenith has bright green eyes with bronze slivers of light. She is small breasted with slim hips and her honey-golden hair is waist length. Born in Montsegur, France in 1632, Acenith is the daughter of Alexandre and Odette De Bourgain. Acenith had one sister, Marguerite. An early interest in herbal remedies resulted in Acenith developing various tonics and healing powders for the nearby villagers. She had an ability to calm and sooth, useful for women suffering through the pain of childbirth. Marguerite, a piously religious woman, feared Acenith’s abilities and accused her of witchcraft to the local authorities. Acenith was arrested and subsequently she was brutally tortured in an effort to make her confess. Acenith consistently refused to do so, feeling that nothing she had done had caused anyone harm and she fervently believed her parents would rescue her. Unfortunately, her parents also feared her abilities and did nothing to secure her release. Sentenced as guilty of witchcraft, Acenith was to endure trial by ordeal, but Ripley rescued Acenith when she was hovering near death and created her to save her life. Acenith is very acceptant of her vampirism and has never questioned Ripley’s decision to create her. She still has a love of nature and an avid interest in herbal remedies. She and Ripley have a close relationship based in friendship and trust – but Acenith has always wanted more. She sometimes gets frustrated by Ripley’s determination to treat her as a younger sister. Acenith has the ability to sooth and calm other people’s emotions. She can combine her ability with Striker’s and increase the ‘volume’ of their power.